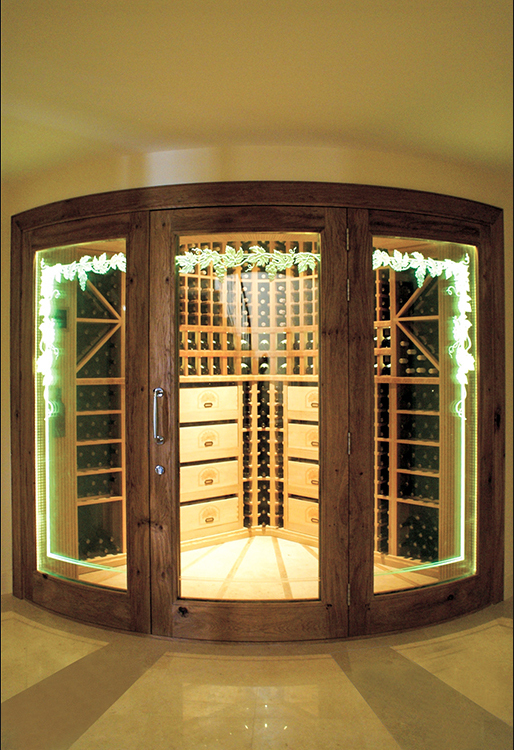 An example of highly efficient space use is the wine cellar designed as an optional feature in the Emaar Toscana Valley Houses in Istanbul. 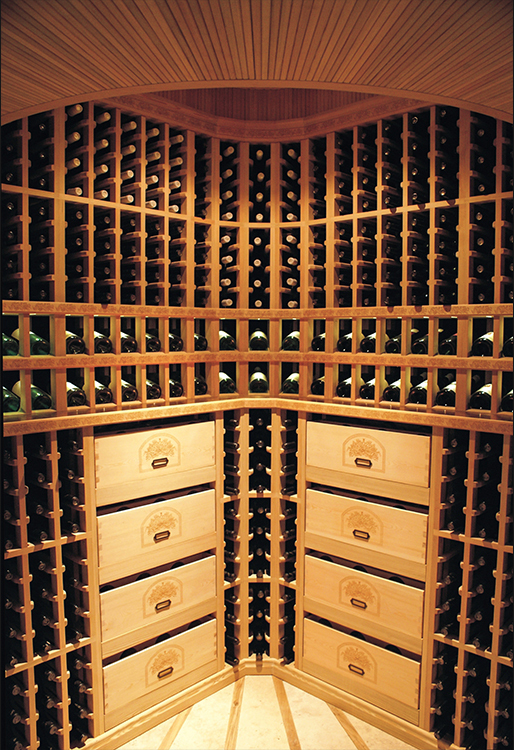 The total capacity of this 4.8 m2 large wine cellar is 538 bottles. Its concave form, which can be widely applicable, provides it with a proportionally rather large glass display. 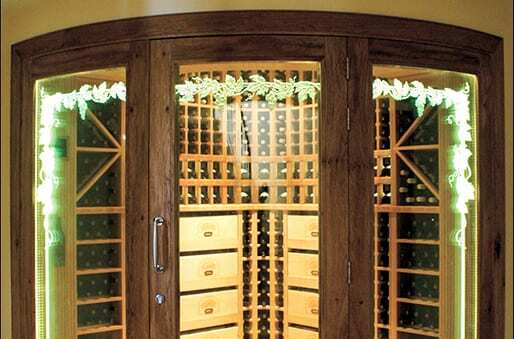 Practically, every corner in any house can be transformed into such an impressive wine cellar without having to sacrifice either the aesthetics or the technical requirements. Despite its difficulty to produce, all concave glass here is thermally insulated and further decorated with flamboyant glass etchings. The natural stone floor of the wine cellar is decorated with radial timber lines following the concave form of the façade.